Despite a 13-point margin of victory, Texas put in an effort against Colorado that indicated a walloping. With 10:31 remaining in the first half, Texas led 14-13. The Longhorns scored 16 unanswered points as part of a 30-6 run to end the half. All parts of the game have to be good for a team to go on that type of run. For Texas, it all started with the defense. Texas forced 14 Colorado turnovers in the first half. 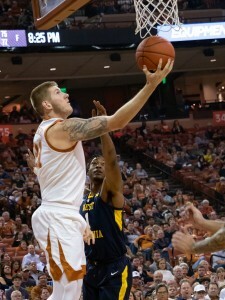 Four different Longhorns added steals with Osetkowski claiming two. Those were the stats, but Texas did something beyond the numbers. They made every Buffalo shot difficult. Texas maintained solid effort on defense in the second half, but got into some foul trouble. Colorado went 11-for-12 from the line and was able to cut the lead down from 25 to 15 early in the second half. However, Texas quickly bumped the lead back up to 25 with about five minutes remaining. Colorado made a small comeback to make the scoreboard look better, but Texas was in no jeopardy of losing the game. I talked about the 6 part in the 30-6 run. Now it’s time to talk about the 30. Even prior to the 30, it wasn’t as if Texas was struggling on offense. Courtney Ramey opened the game with a three pointer, and Matt Coleman followed with his own seconds later. Colorado still hung around and kept it close heading into the midway mark of the first half. Then, Texas went on a run. The run of 16 unanswered points only included one bucket off a Buffalo turnover. Since they didn’t get the ball via turnover, they were able to get it via missed CU shots and defensive rebounds. CU finally ended the run with a layup, but not before Texas’ lead was well into double-digits. Even after that layup, Texas kept the pressure on Colorado. Coleman scored five points, Osetkowski added a bucket, and Gerald Liddell hit a three during the run. 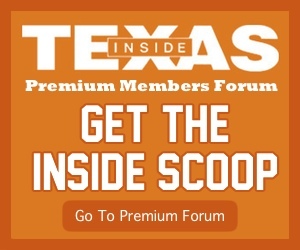 Texas didn’t coast the entire second half, but their first half burst allowed them to get walk-ons in before the buzzer sounded on basketball at the Erwin Center this spring. The win grants Texas an opportunity at the NIT Championship in New York City, something it has only claimed once in its history. It’s not the NCAA Tournament, and the crowd of just over 3,000 at the Erwin Center is evidence of that. However, it’s an opportunity for Texas to try to continue to make progress toward next year after a very disappointing season. It would have been better for Texas if that urgency was around earlier in the season, but that cannot be fixed at this point. That opportunity to keep playing presents an opportunity to win, which is tough to turn down. And for Smart? “It’s about enjoying the opportunity to go up to New York and try to win two games, go up to New York and try to win a championship,” Smart said. “If the motivation isn’t there this time of year to play a conference opponent that beat us two times earlier in the year, whoever that is needs a lobotomy,” Smart said. Four Longhorns were in double figures, and every scholarship player scored. Coleman and Ramey had 12, Roach had 14, and Osetkowski added 15. As a team, Texas shot 42 percent from the field and 41 percent from three. Texas cooled off considerably in the second half after a 50 percent start from the field in the first 20 minutes. Sims didn’t add much to the score tally but did bring in 10 rebounds. Febres and Osetkowski both had +/- numbers in the +20s. Hepa’s was -13. No one played more than 30 minutes.